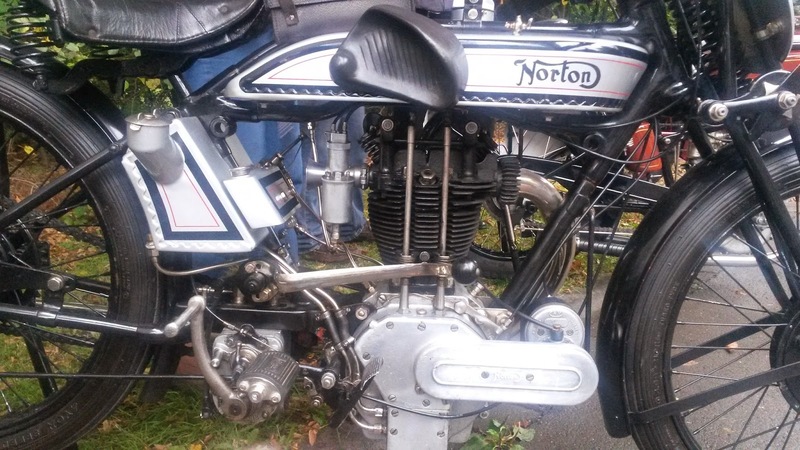 -JdK- Several persons have enquired about the Norton in these photographs, which has been offered for sale at several German jumbles in the last few weeks. It has been described as a Model 25 and as a "production racer" and the vendor is asking serious money. Simon had a look in the records. -SG- According to the records the engine is from a Model 21- the original frame number to this engine (333xx) was 264xx and gearbox 93340 (a CS number). 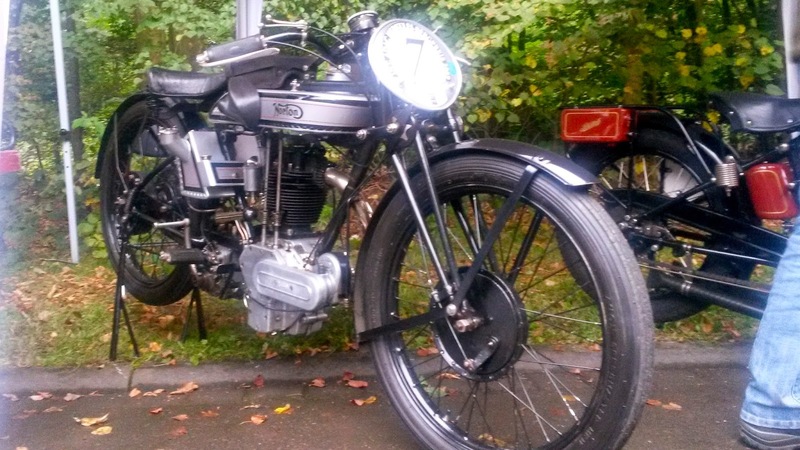 This Model 21 was supplied originally to Demont Freres in Switzerland in March '27 and was fitted with standard Webbs (which it still has) and 26 x 325 tyres which look to have been changed for 300 x 21. There is no mention in the records of the 8 inch Enfield front brake which was not a standard fitting for Model 21s nor the large oil tank and chain oil tank. Note that we do not have a frame number and cannot be sure what the frame is; though the typical Model 25 wrap around magneto support lug and the lugs for the oiltank on the rear down tube seem to be absent. All in all, my view is that it may be a well constructed Model 25 look-alike - though whoever made the fuel tank like that could have been better informed. The correct height of the filler neck is as shown in Juris' Model 25 on which the tank is original. Engine-wise I understand the Model 21 flywheels are cast iron like Model 18s, while Model 25s have steel flywheels like CS1s/ES2s.